Marketers have had a love hate relationship with LinkedIn over the years – at some periods the advertising seems to work and other times the conversions are lousy. But the network is here to stay and since your ideal customers are probably hanging out there it’s time to pinch your nose and put some real effort into doing LinkedIn right. Aim your description directly at your prospects – don’t copy/paste your uninspiring About Us page from your website. What specific problem do you solve for your customers? Put it right up front. Add targeted keywords to your profile – what are you chasing in your SEO and PPC campaigns? Include those search terms here too. Create Showcase Pages – these spotlight different business segments or product lines you might have. If you tend to have multiple buyer personas this could be a great way to speak directly to each segment. You’re not some narcissistic creep mindlessly collecting names you don’t give a hoot about so scrap the generic "I’d like to add you to my professional network on LinkedIn" default line and instead invite new contacts with customized outreach that lets them know they were chosen personally - and that you have some knowledge about what they do in their professional capacity. This works better: "Hi John - that was a great article you shared about blah-blah-blah. It’s a topic I’ve been following lately. I’m going to keep an eye out for other posts of yours – let’s connect!" When going for harder-to-reach connections, especially influencers, try to occasionally @mention them when appropriate to get these folks to notice you (and hopefully your invitation). Make sure to use the Advanced Keyword Research to target prospects by company, group, alumni, job title, and more.LinkedIn lets you save your searches which is very helpful in streamlining your prospecting process. Just like you should be doing with your website’s business blog, consistent posting is how you build an engaged following. If you start out hot on LinkedIn posting 5 times a day for 3 weeks and then vanish for 2 months you’re not going to convince anyone that you’re a legitimate thought leader. But unlike your website blog you can get away with posting much more content from other authoritative sources – no need to struggle coming up with all original posts. Set up Google alerts for keywords that are hot buttons with your ultimate targets – and try LinkedIn Pulse, which delivers you related content shared on the network - and when you find news stories about your keywords share them on your company page. Try for a 50/50 split being original and reposted content on LinkedIn. Always mix questions into your posts to elicit more engagement; these can provide an opening for you to make a soft pitch from time to time. It’s certainly easier to join an existing group than to start your own, but there are advantages to both. Joining a group gives you opportunities to communicate your expertise and display your personality in front of your targeted prospects (other group members) without having the responsibility of generating all the inertia required to get a LinkedIn group off the ground in the first place. However, I’ve found that it’s easy to get lost in larger groups, and while your insightful answers and posts may get you on the radar of a few fellow members, it’s hard to keep top-of-mind without constantly posting. So there’s an advantage of starting a group of your own. You set the tone for discussions and you stand out more prominently with the members since you’re the admin and because you probably invited most of the members there to begin with. Dispense enough advice, tips, and more and you’ll probably start receiving direct-messages from prospects about how they can hire you or start using your products! LinkedIn allows you to easily export your connections’ contact data for marketing on other channels like email. Ask your contacts if they’d be interested in your newsletter and start getting them used to hearing from you. It will make your first bona fide sales pitch not feel so much like a cold call when you finally get to that stage. This is a newer feature currently only available to USA users. If you are a freelancer or some kind of service provider you can now set up a ProFinder profile and without spending any money you can attract leads. If you’ve used one of the popular freelancer sites this model willfeel familiar to you – except there’s currently no cost to use the service. Go try it out – you’ve got nothing to lose! There are some great marketing tools for paying LinkedIn customers too like LinkedIn ads and sponsored content. The targeting ability makes these worth experimenting with for many business types.Test out small batches of each type of ad and spy on what ad types your competitors might be using to grab new prospects. 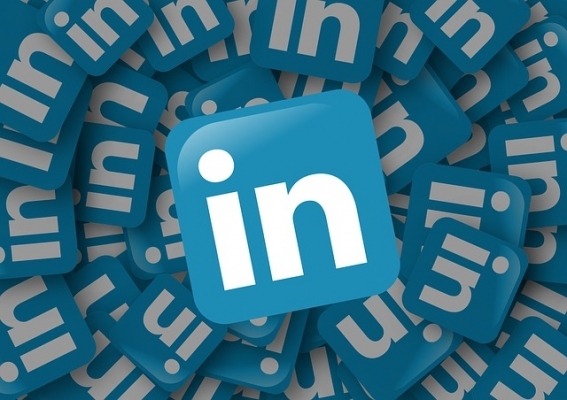 So provided your professional website is looking sharp it’s time to head over to LinkedIn and turn your company profile into a lead-funneling money-magnet with the tips above!